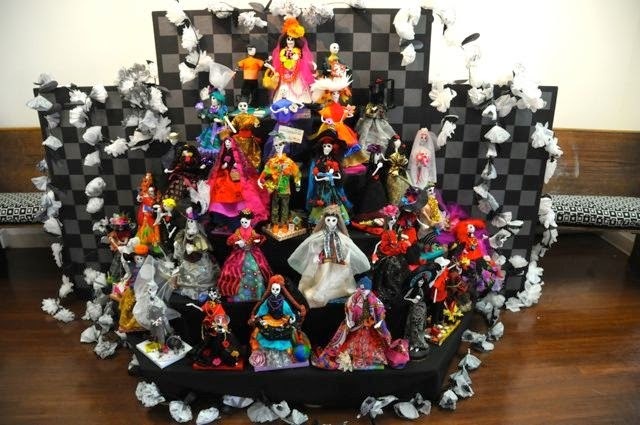 Thirty participants took part in making Catarina Dolls for the San Francisco Symphony. 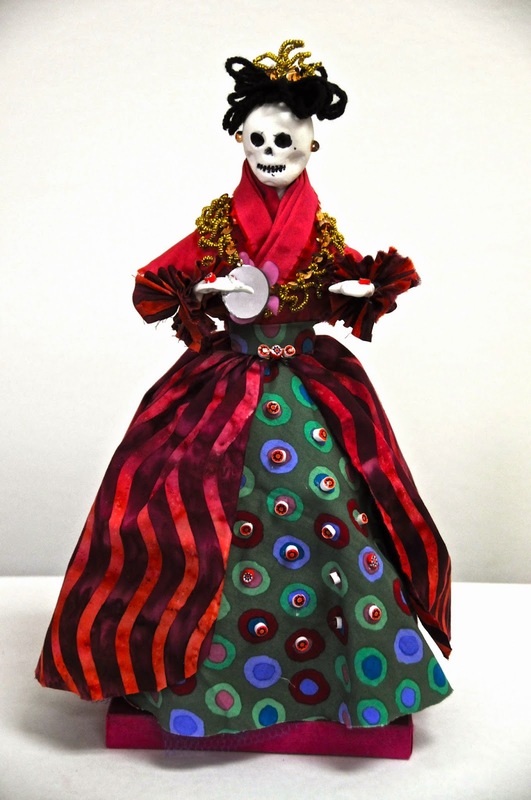 They will be on display for the Dia De Los Muertos Community Concert on November 1, 2014. 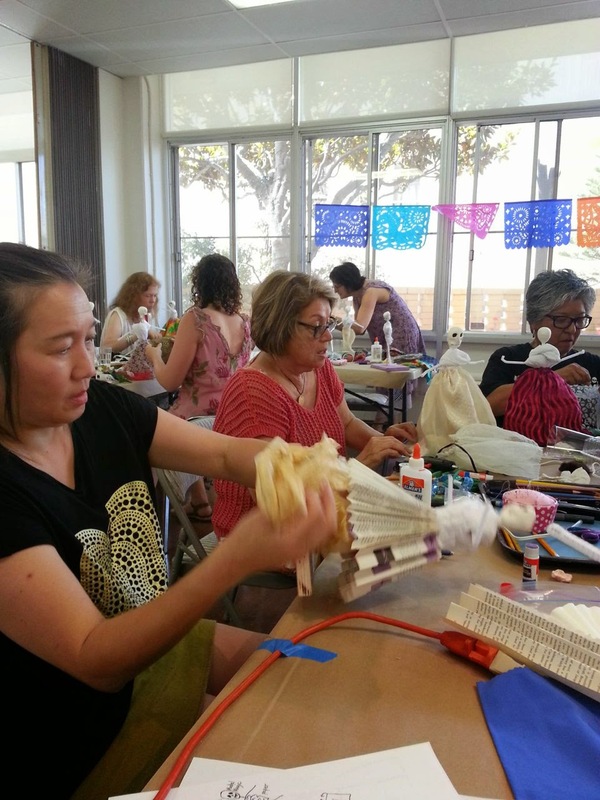 Aiko Cuneo lead the workshop at Ruth's Table with lots of embellishments, fabric and the armatures she made for all of us. We fashioned our air clay covered heads and tissue bodies with them. Aiko did so much preparation to make this work and even provided Mexican sweet bread for us to snack. Her husband also came to give a hand. Ruth's Table and Lola Fraknoi provided lunch. It was a great day. Thank you all! Monica, Margie and I diligently working on our dolls. Here is the group made at this workshop. The participants had such creative ideas. The finished doll I made holding a mirror and looking fancy!